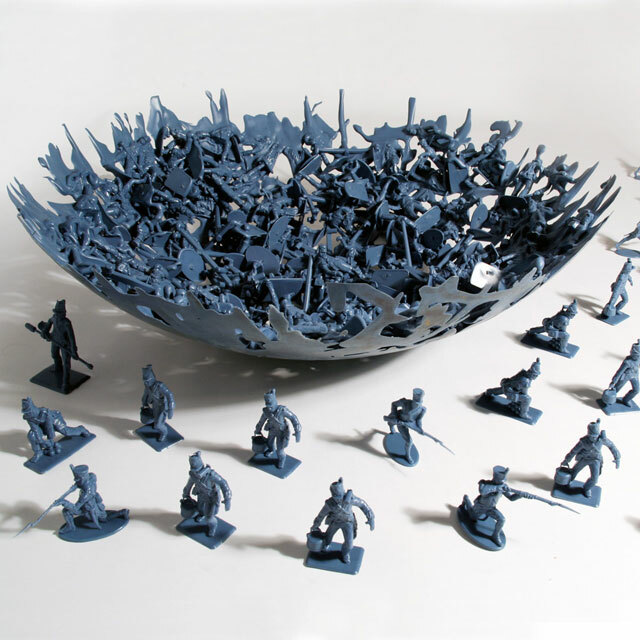 The War bowl is hand made by melting model figures from historic battles together to form a single decorative bowl. Neat. Unfortunately the price is predictably high. Damn, had I only known the revenue potential…. 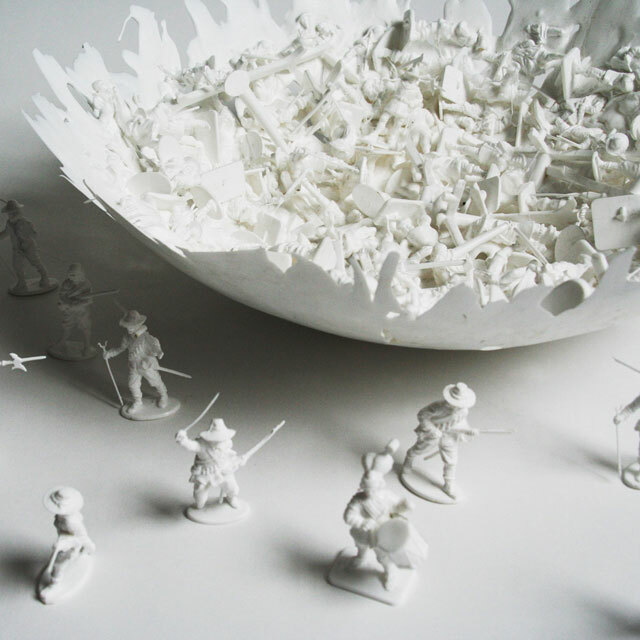 I would do crap like this when I was little, burning gi joes and other figures. I really missed out on a money making scheme.